A ruler…If you do not cut accurately you cannot stitch accurately! With that said this is the most necessary ruler I have, beside the 8 1/2″x 24″ that we all should own. The 4″x 8″ Omnigrid ruler is by far the most accurate for sub-cutting. You all know I love to piece “little” and this ruler helps me cut accurately. See all those 1/8″ grids? Yes…you need them….see how fine they are? That helps not having a big thick line…what side of the line are you on? Am I in the middle? With this 4×8 ruler there is no guessing…therefore…it is more accurate for piecing. It also does not have the extra 1/2″ that sometimes confuses people. The Omnigrid rulers also come in 4×4 or 3×18, which I also have of course, but this is the best size for handling purposes also. I do not want to be swinging around an 18″ ruler when cutting 1 1/2″ pieces. If you are interested in purchasing this ruler it is conveniently linked below to my site, however I have no problem with you supporting your local quilt shop and purchasing there. If you do not have a nice local shop and want to purchase from me…you will receive a 25% discount off it now til the end of the year. Please understand that your order may take a bit. We do not know how many we will sell? It might be 5 it may be 50, hopefully it won’t be 500, I don’t think my supplier would have that many!! !…lol, so we may have to order this for you. We appreciate your patience and we will ship your order as soon as we have them in our store, if we run out of what we have in stock. Stop back by tomorrow to see what you need to help you be a better Quilter! If you leave me a comment, like…tell me you have this one and love it too!, tell me you are purchasing it now!! !, tell me if I drive you crazy, in a good way!! !…in other words tell me something and I will enter your comment in to win one of my prizes. I will post the winner and the prize tomorrow along with #11! 12 “Needlful” Things for better Quilting! Previous Post 12 Days of Christmas…starting tomorrow! I do not have this ruler, but I am thinking I should put it on my Christmas list. I use my 6″ x 12″ a lot, but I can see how much nicer this would be for smaller piecing (which I have been doing a lot of lately). Thanks for sharing your success with this ruler. I actually have two of these rulers! And I agree – you can’t live without them! Lisa, I love getting your emails. Have purchased and made several of your patterns. Hope to visit your shop next year – it’s on my bucket list. I have this ruler and love it for all the reasons you say! Good choice! Own it, love it, and use it a lot!!! I am so looking forward to see all 12 of these posts. I do not own this ruler. I will have to look for it. Love mine. Looking forward to your post every day. You’re right this is a great ruler for making smaller quilts. I love mine. Hard to believe I don’t know about this ruler….I do have a 2 1/2″ x 6″ that I tried for small cuts and like. One of the highlights of our vacation in Sept. was visiting your shop! All I can say is WOW! Do not have it but I am getting it. Lisa you are the only quilt shop owner that I know that is truly inspirational with your quilting. I love your blogs and can’t wait till you post a new one. Love everything about your shop which I get to at least once a year. But online is just as good. I want to say thanks to all the helpful girls at the shop too. Of course I own it and love it! What a great idea to pick someone out and “secretly” buy their dinner. I love random acts of kindness…you’ve inspired me to pass it on!!! I have an older ruler from Omnigrid and never noticed that they have updated it with the small 1/8 grids. I had a WOW moment! THANK YOU! I don’t own either of these rulers so thanks so much for the heads up! I am on the hunt!! Thanks so much for the chance to win your give away! Wishing you a very merry Christmas and all the best in the New Year! See you at Road to California! I am really looking forward to the list of 12 great things! You are the expert so I listen carefully to your suggestions. I have lots of rulers, but not this one. I will buy it the next time I am at Primitive Gatherings – which won’t be long as I am there often 🙂 And I love the idea of buying someone’s dinner unexpectedly. What a wonderful idea! Happy Holidays!! I enjoy your emails! I also like the snow that is falling on this site!! I have this ruler and it is a really nice ruler to have! I have the 4×8 but my go-to ruler has been the 4×14.. am not sure why but am going to change it up and try the 4×8 more regularly. I’m really excited for all twelve days to see what you post. I’ve been much more aware recently of piecing with more precision. Thanks. Absolutely one of my favorite rulers as well. I anxiously await for Day 11!! I do have this ruler and find it very helpful for cutting small pieces. Happy holidays, yes i do agree i do have this ruler. I am a big fan of omnigrid rulers and i wholeheartedly agree if you dont cut percisely you cant stitch percisely. Thanks for entering me your giveaway! I am looking forward to your 12 days of Christmas. I have to look for the ruler. Thanks for all your inspiration and the giveway. Merry Christms! I have the 6 x 12 i use ALL the time. But i think you might have talked into the 4 x 8! I think buying a family’s dinner is just so amazing, what a very kind gift you gave them. Just warms my heart. I have the 4×4 and the 3×18 and use them all the time but can see that the 4X8 might be a tool that I find really useful. I will have to put this on my “stocking” list. I know Santa isn’t done with his shopping. I don’t have this ruler. I guess it just never occurred to me to make it easy on myself instead of using my big one for all of my cutting. Thank you for featuring it on your blog and opening my eyes that there is an easier way! Happy Holidays to the best site on the web! Starts any day out just great when there is an email from PG. Thank you for all you do for this wonderful world of quilting and wool. Love sewing itty bitty also!! I have the ruler and love it. Looking forward to seeing you in Illinois this Spring. I think I will have to try this ruler. I like the idea of the thin lines and the eighth inch markings. ANd yes your are so right about supporting local quilt shops. We no longer have a local shop and have to drive 35 minutes to another great shop, but it is worth it. I too enjoyed the concert last night. We have gone to the Jersey Shore every summer since I was a baby, 57 years , so this tragedy especailly hits home to me. Please support anyway you can. I don’t own it. Have been usung a 6×12 from Creative Grids that I like a lot but will check yours out at the Tiger Lily tomorrow. Enjoy the Christmas holiday and so nice to hear of your giving! How much do I love the same ruler? I have TWO! Why I don’t know … Must have seen it in my fab shop and thought ” who couldn’t love that ruler?” … TWICE! I do love the 4 x 8. And the 8 x 24. Another that I have and would not be without is the Easy Angle for putting binding strips together and joining at the end of binding. Have a great holiday! Like most quilters, I’m sure, I have many, many rulers, but always go back to the same old few. This is one of them! Thanks for your advice about all things “quilty”! I will definitely look for this ruler at my local quilt shop.Thanks for the tip. I live your blog! I do not have this ruler, but thinking I need one now. Hoping my name is picked. You make a couple of very good points about having rulers of varying sizes to do different types of cutting. Thanks for the chance to enter a drawing! I’ve just begun reading your blog in the last few weeks – it has been a pleasure to read and get to know you! I also have that ruler and use it alot. Merry Chrismas to you and yours and all your followers. A special shout out to your mom Terry. Craving some of her home cooking. Even though I’ve gotten away from quilting I love reading your blog posts and getting your shop e-mails. I know one day my Bernina will be humming again. I’m putting this on my Christmas list. I don’t own this size but see the benefits when subcutting. I’m happy that you included a picture – it helps to see what you are talking about! I have this ruler and use it often. This is one of my favorite rulers….I learned about it doing Dear Jane. I, too, love my omni grid rulers. I think my favorite to take to workshops and retreats is my little 3 x 8. merry Christmas! My favorite ruler as well. I recently replaced mine since they were old and actually cut slightly from so much use. Merry Christmas! I have this ruler and LOVE IT!!!!! Could not live without it! I actually was just using this yesterday!!! Love it. I have so many rulers and going into my local quilt stores I would get confused on what i have and don’t have. So, now I let technology work for me. I put a list of all my rulers on my tablet (in NOTES if you have an Ipad) and take my tablet with me to the stores, so now I purchase the rulers I don’t own. Also, I take pictures of the fabric or wool I am trying to match on my tablet. This way I don’t get distracted with all the beautiful colors!! I have this ruler and LOVE it! I also your emails – keep them coming. I also appreciate that you want us to support our local quilt stores. We need to support all of our small local businesses. They are important to our community. Thanks for all you do for us and making us better quilters! You are the energizer bunny! I own several Omnigrid rulers, in different sizes. A MIST for accurate cutting! I have this ruler, good one. You can’t beat an Omnigrid ruler! Thanks for bringing it back to everyone’s attention! I find you extremely motivating, Thanks for doing what you do! I don’t have this rule but I’m putting it on my shopping list! I’ve been purchasing the Creative Grids rulers lately because I like the textured dots that helps keep them in place, but the eighth inch markings on the Omnigrid you show is a definite plus! I also love this ruler. Have a great holiday! I already have this ruler in two sizes. At first all the yellow lines were a turn off, but now I appreciate the accuracy. Nunca tive essas ferramentas,faço todos os moldes de blocos no papelão ou acetado risco e lá vai tesoura…Gostaria muito de ter,facilitaria a minha vida.Obrigada. 1/8 inch increments are the BEST!!!!! I think a 4×8 may be the only ruler I don’t have. What a great suggestion! I’d love to find one of these in my stocking on Christmas morning! I’m doing more small stuff so appreciate the advice on this. Love your buying dinner for someone as a gift. How neat. Good to know! I will have to add that one to my collection! Looking forward the other 11 days! I don’t have that ruler, but have the creative grid three and a half by eighteen and a half. May have to find the one you showed. I don’t have one but it sounds like I need one as I do many of your projects. I will check out our local quilt shop first. Glad there is many people like you as to giving of yourself to help others. Have a Merry CHRISTmas and Happy New Year! I have the 4×4 and the 3×18. Sounds like I need to get this one too! yes you drive me crazy! I want to do all the projects and I do not have the time nor the energy! AAGGHH! I have all those rulers and love them all for different reasons. I use the 4×8 a lot. Happy holidays! Omnigrid rulers are great! I have several but not this one. Love the Omnigrid rulers…my favorite is the 4×8 inch. I would love to purchase them in centimeters ! Merry Christmas! I love all my many rulers. You definitely drive me crazy because I want everything you design! Love this ruler !!! All mine are big and the one I use the most has lost alot of the smaller lines due to wear & tear so it would be really nice to get a small new one ….christmas gift to me :)!!!!! I don’t have this size ruler – mine is 6 x 12! I think I have 2 – 3 of each ruler they make, but this one! I think I use the 6″ x9″ the most. Rulers to me are just about as bad as being addicted to Chapstick….can’t have just one!!!! Love your designs! I don’t have that size but will definitely purchase it! It’s one of my favorites too! That and the 4×4. Love your shop! I love my 8×12″… Omnigrid is it for me too. I have used this ruler since I started quilting in the late 80’s and am still using my original one, even with a corner chipped off! I did purchase another one last year but the original one is still going strong. Have tried other ruler companies but still prefer my Omnigrids. I am looking forward to your 12 days of Christmas posts. It is always interesting to see what the people you admire find to be useful. I am going to go check my local quilt store — Quilt Country in Lewisville, TX — which I was thrilled to find does carry a bit of your line. I absolutely love your idea of buying a family dinner. I think I am going to have to try that out also. I love gadgets and when I saw this a couple of months ago I grabbed it. Use it all the time for all the reasons you list and it’s great. Merry Christmas Lisa for all you do……….you are a great shop owner and teacher and your enthusiasm is motivating. Your website is one of the few I look at almost daily. Plus I like the snow falling on your blog! 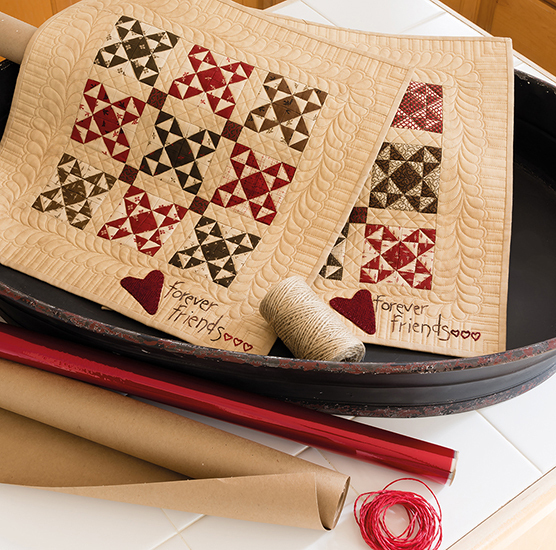 Just finshed your mini star quilt – the one with 372 pieces and finishes at 11 1/2 iches. I need the ruler! Have it, love it. Love your blog and the snow. Can you send some of the snow down to me? I have NEVER had a white Chritmas. WAAAA!!!! I have this ruler and Love it!!! Thank-you Lisa for taking the time to share these posts with us. 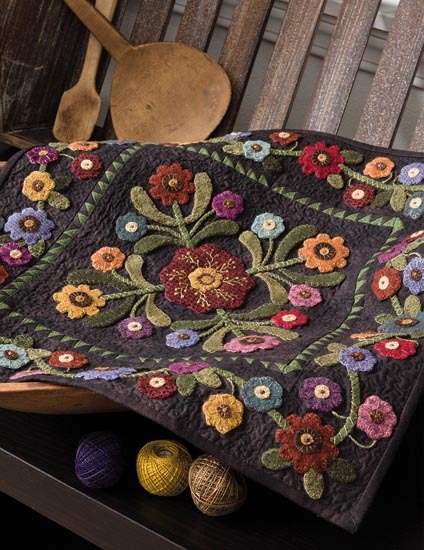 I am really looking forward to your top 12 quilty items. I do not have the omnigrid in the size you prefer. Will look for it at my next visit to the local quilt store. Merry Merry Christmas — I love your 12 days of Christmas emails. I sure could use the small size ruler. Hoping I win ! I would love this ruler. Merry Christmas! Lisa, you always share good tips to help us along. I like how your personality comes through on your blog. It makes me smile and keep sitching away! I need to keep smiling & your two dogs help with that too. We need a Christmas photo of the dogs. Thank you! I love Omnigrid rulers, they are the best! I actually have this ruler and didn’t remember it. My go to ruler for smaller cuts is the 4×14 which I just had to replace because the lines are wearing off! I will have to give the 4×8 a try. Thanks, Lisa for all the inspiration! Most of my rulers are Omnigrid ones, and they are the best! I don’t have the 4 x 8″ one, but would love to win one. I do like the 4 1/2″ square Omnigrid one for small pieces. The extra 1/2″ doesn’t both me, but can sometimes be a little confusing, I agree. Thanks for the chance! I haven’t seen this ruler size before, and can see that it would be very useful. Rectangular rulers seem to give you more options than squares. I, too like to make small items. Did not there was a 4×8 ruler. Ha ha ha so true about swinging that 18 or 24″ ruler around! At quilt retreats I often have to watch it while my head is bent on what I am cutting and don’t always look up when my ruler meets with another quilter doing the same thing on the other side of the table. Great idea. I am going to purchase one. I agree this is one of my most used rulers. After I cut a strip I use this to sub cut my smaller pieces. Love your work. Living in Michigan it was good to see you again at Grand Rapids. Friends & I have taken a couple of road trips that included your shop. The last time we ended up at “The Gathering” for a few days. Keep up the good work & have a Merry Christmas! I have tons of rulers and can never find them when I need them…since I hand piece it’s not too often, only when making templates…love your blog and your online store…so much prim inpsiration…my local shop stinks!!! Never knew about the 1/8th inch mark. Thanks for the must have. This is a ruler I don’t own………..going to check out my local shop and may end up ordering from you. You couldn’t possibly drive us crazy. I have all three sizes. If you have the right tool for the job you will improve your accuracy. The 4X8 was the one must have ruler I told my Dear Jane students to get because it also has 1/16 th tick marks around the edges. See you in February . I just realized that even the 1/16 ” are marqued … that’s a ruler I need for sure because I have some patterns with 1/16″ template ….Crazy don’t you think? No I do not have this ruler.I do have 3 1/2 by 24 and 6 by 12 both Omnigard. Thanks for the heads up on this one.Nope have not drove me crazy yet. I don´t have this ruler.I do have the 30×15 cm ruler.Merry Christmas! This ruler “RULES.” Will be checking my local quilt store for this ruler. Starting to do more mini quilts so this ruler will be perfect. I too love the 4 by 8 ruler for smaller cuts! It is one of my most used rulers! Yes, accurate cutting sure matters. Happy holidays to you! You are definitely one of the most generous Santa’s elf’s!! I do own this ruler…along with many others but this one is always within an arms reach when I am at the cutting table!!! I will purchase this ruler soon! I think it will be easy to work with and very accurate! I have a question for you. DO YOU EvER SLEEP??? Know what you mean about swinging that long ruler. It’s either that long one or the 12 1/2 inch square which is interesting too squaring up small pieces. I LOVE this ruler. It is the perfect size for cutting small pieces! I loved your random act of kindness story, what an inspiration. Can I just say also that I LOVE your patterns, your ideas, your online shop (live to far to visit the real store, would love to one day though) your blog, okay I know I am beginning to sound like a stalker, but love your stuff. I do have several of the omnigrid rulers, I agree they are a must have. I do not have this ruler but now I want it!! I agree with you about the rulers that have the extra 1/2 inch – it always makes me have to think just a little harder. I have several sizes of Omnigrid rullers, but not the 4″ X 8″ (yet.) I do like the markings that help me cut more accurately (now if only I could sew more accurately.) Lisa, you do drive me crazy in a great way – your creativity is beyond compare. I love reading your blog and newsletters, and perform a daily check on your website under “NEW” items. Thank you for a spectacular online shop – wihtout the opportunity to order items through Primitive Gatherings, I’d be lost, as there aren’t any quality local shops nearby. I love your recommendation, however I DO already own this one. It is one of my favorites, but I HATE pieceing little things. I have most of the Omnigrid rulers also but the one that I will always take with me on retreats and use the most at home too is the 4″ x 8″. I agree that it is the best for cutting smaller pieces. I would be lost without it. I just received my packets with the free patterns and the kit to make the small quilt. That will have to wait until after the holidays. Merry Christmas to you and your family. This would be handy size … and I thought I had them all! Thanks for the heads up on this. I look forward to your emails/blogging. Always good information and creative ideas. THANKS. Happy HOLIDAYS to you and your staff. Just received my package the other day with my free patterns and some other things. Love, love, love your shop!! I will be ordering the 4 x 8 ruler. It sounds like one I’ve been looking for for a while. Thanks for sharing! One of my very favorite rulers!!!!!!! A must have if you don’t own one!!!! I don’t know the brand of the small one I have but i don’t like it. It has black lines and it’s really hard to use. I usually end up having to put a strip of masking tape on the line I want. I need one of these! I need rulers! I need to learn how to use rulers! I’m terrible with rulers! I do have a small omnigrid and a somewhat larger ruler from a different company that claims “precision”, but I dunno! Maybe it’s the measurer and not the ruler! I don’t even want to talk about rotary cutters! A new ruler is on my Christmas list. Hope Santa brings one of these! Merry Christmas from one Lisa to another!! I love this ruler so much that I actually own 3. I keep my favourites in my travel kit and I have one in my studio. Well I guess you can tell where this is going…. I lost my one from the studio so I immediately bought a new one and of course within two days found the missing ruler!! That is one Omnigrid ruler I don’t have! Would love a chance to win! You are just too funny and in a good way.. What a great idea to buy someone’s dinner. You are the best. I too use the rulers for everything..When I first started quilting, trying to decide if I was to the right of the line or left of it made me crazy also. I love your patterns fabric and ideas to explore my skills..i.e. the summer freebee kit. I’m still working on it but I know it will be great. Have a wonderful holiday and hope to see you in PA in Mar 13. I used to use a different brand (will remain nameless) and had the exact issues that you described. I have switched to all Omigrid and LOVE them. My quilts go together so much nicer now and I know it’s due to the very fine lines on the rulers. I have the 6×12 ruler, which I love and use all the time. I didn’t know about this one. A ruler with eighth inch markings would be so helpful. I love my ruler with 1/8 markings – I wish more rulers came with them. I am trying to clear out projects so I can start on the 9 patch quilt kit I got from your shop at the PA quilt show! Would love to win 🙂 thanks for a chance at it! Love the 4X8! Purchased an additional one so that I have one that can travel when I go to workshops. I have the 6″x12″ one and love it…..sounds like the 4″x8″ would be a good one to have too. I have lots of rulers!!!! Iwill head for the QUILTED LADYBUG in the am to purchase the ruler ( maybe I should wait to see if I am the winner.Bet you made the family happy. I love the Omni grid rulers but thats one I don’t have. I’m gonna add it to my Christmas list. Thanks! I do have this along with a few others and love them all. Happy Holidays! I like the omni grid rulers. Love your blog and am looking forward to following this 12 Days. I have many Omnigrid rulers, but not this one; so I guess it will be my next purchase. 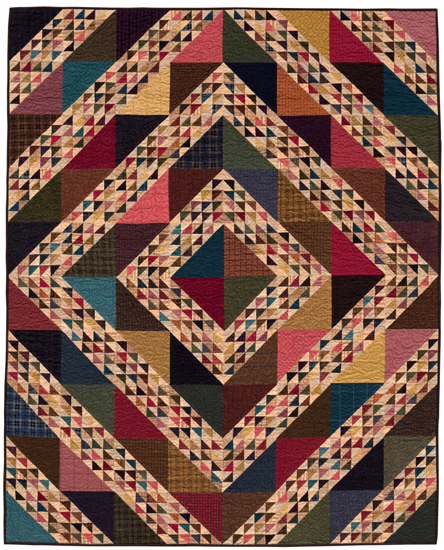 Am always looking for advice on what to buy that is useful for quilting and I really like the 1/8″ markings on this. Merry Christmas!! Have one similar to this and love the markings on it for little quilts! Also have this ruler and you are right on about the smaller markings. Looking forward to hearing about the next 11. I don’t have this ruler, but it certainly looks like it’s very useful. I love your snow coming down on my screen! Use this ruler all the time to teach! My name is Janet Salcido and I teach at the Orange Quilt Bee in Orange California. Love all you do for us, just need more time in a day. 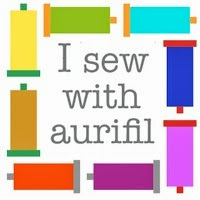 I am a quilter wanna-be and have been reading your blog and shopping your store since the beginning of time. My real passion is hooking! Someday I will learn to quilt! I have a couple of Omnigrid rulers, but the ones I use the most are my Creative Grids rulers; although I basically use the best one for the job at hand. I have a bunch of Olfa Frosted rulers too. You live farther north than I do…could you please tell Santa I have been good and deserve that ruler? I don’t have this size ruler, but do own a few of the Omnigrip rulers. I too love this ruler, one of the best!! I am a beginning quilter and I would love to have This ruler 🙂 I can’t wait for tommorow’s item. Don’t have it but would love to…love the easy to read lines, have a few others others… think my 24″ is only 6″ wide..have to check tomorrow..in bed reading on my ipad..can’t wait to see your other posts! I don’t have that size ruler but…. I have this ruler. It is not too big, not too small, but just the right size ruler. Hi Lisa, Happy Holidays! I have this ruler and I am on my second one. My first one wore out from overuse:) I will say that you do drive me crazy. Crazy that I want it all. I want to do all your projects because I love them all and because my stash in wool has increased tremendously ever since I visited your shop. I can’t keep up! How do you get everything done? Always enjoy your writings and use the ruler for my small cutting/piecing. Well, I don’t have this ruler and probably should. I do have the 6″ x 12″ and use that a lot. But on another note, I love your blog and love working with wool. I am still doing my favorite things wall hanging and hope to finish it soon. Thanks for keeping us up to date on things and sharing your love of wool too. Wow Lisa what a response and no I do not have this ruler but thanks on the info because I often wondered if this size would be one to get….You do not drive me crazy…you have always shared wonderful info with us…thanks and Merry Christmas. You would never drive us crazy!! Love your blog!! I am going to order..just waiting to see what else you offer and combine my order!! Cutting is the hardest thing for me!!! I also love this size ruler, I use it more than any other. Looking forward to the other “11 days”. Thanks and have a great holiday. Love hearing what you consider necessary. Accurate cutting really makes the assembly of my quilts easier. I have never seen a ruler this size. I’ll be looking for it ’cause it is definitely time for some new tools at my house. I have two pair of these snips…Love them. I would love to win the ruler. I have one but it is badly cracked! My fault, stepped on it, while picking up my scraps! That’s one of my favorite rulers too! I have the Omnigrid but have a hard time ,for some reason ,seeing the lines. I like the finer lines on the rulers. But what I really love is these blogs with such useful information. I’m finding them very helpful. Thanks for sharing.